Keywords: Food Handlers’, Hygiene Practices, Customer Choice & African Indigenous Restaurants. Akbar, Y.A.A. & Alaudeen, M.S.S. (2012). Determinant of factors that influence consumer in choosing normal full-service restaurants: Case in Seri Iskandar, Perak. South East Asian. Journal of Contemporary Business, Economics and Law, 1(4): 137-145. Akinyele, S.T. (2010). Customer Satisfaction and Service Quality: Customer’s Re-Patronage Perspectives. Global Journal of Management and Business Research, 10(6):83-90. Barber, N., & Scarcelli J.M. (2009).”Clean restaurant: How important are they to restaurant customers?” Journal of food service, 20 (6): 309-320. Bas, M., Ersun, A.S. & Kivanc, G.(2016). The evaluation of food hygiene knowledge, attitudes, and practices of food handlers’ in food businesses in Turkey. Food Control, 17: 317-322. Brewer, M. S. and M. Rojas (2012). Consumer attitudes toward issues in food safety. Journal of Food Safety 28(3): 1-22. Brotherton, B.(2008). Researching Hospitality and Tourism. Student Guide. Crossing the empirical research design.Sage publication.pp.45-51. Campos, A..K.C., Cardonha, A.M.S., Pinheiro, L.B.G., Ferreira, N.R., Azevedo, P.R.M. and Stamford, T. L. M. (2009). Assessment of Personal Hygiene and Practices of Food handlers in Municipal Public Schools of Natal, Brazil,” Food Control, Vol.2, No. 10, pp. Centre for Disease Control and Prevention. (2007). Preliminary Food net data on the incidence of infection with pathogens transmitted commonly through food: 10 States, United States, 2005. Mobility and Mortality weekly report, 55 (14):392-395. Chukwuocha, U.M.,, Dozie, I.N., Amadi, A.N., Nwankwo, B.O., Ukoga, C. N., Aguwa, O. C., Abanobi, O. C., &, Nwoke, E. A. (2009). The knowledge, attitude and practice of food handlers’ in food sanitation in a metropolis in South Eastern Nigeria: East Africa Journal of Public Health, 6 (3): 240-243. Eat Out. (2014). African Restaurants in Kenya. Retrieved on August 30th, 2014, from http://www.eat out.co.ke /restaurants/Cuisine/African? Ellis, J., Arendt, S., Strohbehn, C., Meyer, J., & Paez, P. (2010). Varying influences of motivation factors on employees’ likelihood to perform safe food handling practices because of demographic differences. Journal of Food Protection, 73, 2065-2071. Fatiregun, A.A.; Oyebade, O.A. ; Oladokun, L. (2010,). Investigation of an outbreak of food poisoning in a resource-limited setting. Tropical Journal of Health. 17: 1117–4153. Food and Drug Administration. (2009). FDA reports the occurrence of food borne illness risk factors in selected institutional food service, restaurant and retail food store facility types, US: FDA National Retail Food Team. Retrieved July 21, 2014, Fromhttp://www.fda.gov/food/guidanceregulation/retail-foodprotection/ Food code/ucm 2019396. Grace, D. (2015). Food safety in low and middle-income countries. International Journal of Environmental Resources. Public Health. 12: 10490–10507. Hejar,A.,NorAfiah,M.,Hayati,K.,Salmiah,S.,Yusma,M.andTiti,R. (2011), “Cleanliness of food in Bahau”, Malaysian Journal of Public Health Medicine, 11 (3): 31. Jan, S., & Liu.Y.H. (2009). Perceptions of Chinese restaurants in the US. What affects customer satisfaction and behavioral intention? 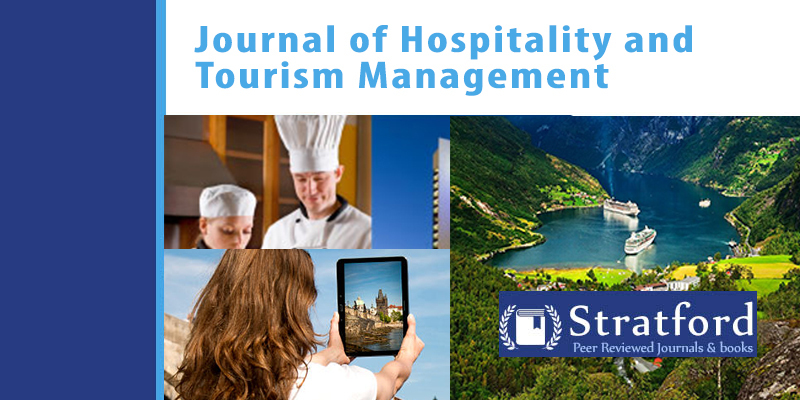 International Journal of Hospitality Management, 28 (3): 338-348. Jiang XP, Doyle MP (2009). Fate of Escherichia coli 0157:H7 and Salmonella enteritidis on currency. Journal of Food Protection, 62: 805–807. Katie, F. & Douglas, A. Powell. (2009). The use of restaurants’ inspections disclosure system as a means of communicating food safety information. Journal of food service, 20 (6):287-297. Kim, W.G., & Moon, Y. J. (2009). Customers’ cognitive emotional and actionable response to the service scale: A test of the moderating effect of the restaurant type: International journal of hospitality management 28 (1): 144-156. Maina, T.S.N., Kamau, L., Kabiru, E.W., Ogata, B.R. and Shitandi A. (2013). Evaluation of Bacteriological Quality of Aircraft Food at the Jomo Kenyatta International Airport,Nairobi, Kenya. Science Research 1(1): 1-8. Markovina, J., Stewart-Knox, B.J., Rankin, A., M. and Abdalla, M.A. (2012). Assessment of bacterial contamination of sheep carcasses at slaughterhouse in Khartoum state of Sudan. Journal of Science and Technology13 (2): 714- 76. Mathews, J. (2011). Food and Health Survey: Consumer attitudes towards food safety, nutrition and health. International food information council foundation: Retrieved July 21, 2014fromhttp://www.foodinsight.org/2011_Food_Health_Survey_Consumer_Attitudes_ Toward_Food_Safety_Nutrition_Health. Mauer, W.A, Kaneene, J.B, DeArman, V. T, Roberts, C.A, Pong, L and Dickey, T.E.(2006). Ethnic –food safety concerns: An online survey of food safety professionals. Journal of Environmental health, 68 (10), 32-38. Mugenda, O.M., & Mugenda, A.G. (2008). Research methods: Quantitative and Qualitative Approaches, Nairobi, Kenya, Acts press. Muinde OK, Kuria E. (2005). Hygienic and sanitary practices of vendors of street foods in Nairobi, Kenya. African Journal of Food Agriculture Nutrition Development.5 (1):1-14. Namkung, Y., & Jang, S. (2009). Does food quality really matter in restaurants? Its impact on customer satisfaction and behavioral intentions. Journal of Hospitality and Tourism Research, 31(3): 387-410. Ogutu, K. (2012). Current State of Nairobi Metropolitan Region and Area. Retrieved August 23, 2014, from	http://KevinOgutu.wordpress.com/2012/03/12/current-state-of-Nairobi-Metropolitant-	region-and-area. Park, S., Kwak, T., & Chang, H. (2010). Evaluation of the food safety training for food handlers in restaurant operations: Nutrition Research and Practice, 4 (1): 58-68. Patron, M.Q. (2002). Qualitative Research and Evaluation Methods. London: Sage Publications. Queensland Government. (2014). Food Safety. Retrieved September 29, 2014 from the World Wide Web: https://www.health.qld.gov.au/foodsafety. Redmond, E. C., and Griffith, C. J. (2005).Consumer perceptions of food safety risk, control and responsibility. Appetite, 43(3): 309-313. Sarah T. P. M., Daleen V.D. M, Hanli D., Magdalena J. C. B., & Annamarie K. (2012). Consumers’ beliefs on indigenous and traditional foods and acceptance of products made with cowpea leaves. African Journal of Agricultural Research, 7(14): 2243-2254. Simonne, A. H., Nille, A., Evans, K., & Marshall, M. R. (2004). Ethnic food Safety Trends in the United States Based on the CDC Food Borne illness data. Food Protection Trends, 24: 590-604. Tuttle, B. (2012).Nothing to Hide: Why Restaurants Embrace the Open Kitchen. 2017 Time Inc. Retrieved from http://business.time.com/2012/08/20/nothing-to-hide-why-restaurants-embrace-the-open-kitchen/on 20th September 2016. Ungku F, U.Z.A, Boo, H.C., Sanbasivan, M.& Salleh, R. (2011). Food service hygiene factors that Consumer perspective. International Journal of hospitality Management, 30(1):38-45. Walker E, Pritchard C, Forsythe S (2009). Food handler’s hygiene knowledge in small food businesses. Food Control, 14(5): 339–343. World Travel Guide. (2014). Restaurants in Nairobi: Columbus Travel Media Ltd. Retrieved August 27, 2014 from http: // www.Worldtravel/ guide.net/ Nairobi/restaurants. Yamane T.(1967).Statistics, An introduction Analysis, (2nd Eds. ).New York: Harper and Row.